Water at Risk symposium's first day gathered together a wide crowd of companies, academics, politicians and general public who are all interested in water security and global change. These two interrelated topics were approached from four different viewpoints as Professor Olli Varis from Aalto University, a member of parliament Pekka Haavisto, Professor Alistair Rieu-Clarke from Northumbria University and Stuart Orr, Practice Lead for Water at WWF gave their keynote and plenary talks. Tellervo Kylä-Harakka-Ruonala from Nessling foundation opened the morning together with the chair of the day, Suvi Sojamo from Aalto University. Olli Varis began his and Pekka Haavisto's shared keynote talk with a strong slogan: ”Water is the blood of the planet.” He stressed that water is an interconnector and crosscutter of multiple issues and for example the UN’s Agenda 2030 goals for sustainable development. He draw an example from Africa where the growing population and expanding economy are setting new challenges and needs for water security and management. Varis presented various ways in which Finland can contribute towards solving problems related to water resources. These ways include innovations, foreign trade, promotion of international conventions and diplomacy. Varis highlighted that countries need not only the technology but also the governance to utilize their natural resources. The resources as such do not benefit countries if the countries do not have a capacity to use them. Pekka Haavisto started his portion of the keynote by talking about a positive trend in sustainable development that he has seen for example in China. However he emphasized the threat that populism, alternative truth movements and the marginalization of minorities still pose a threat for the development and environmental decision making. Haavisto mentioned that environmental issues are highly political and stressed the importance of a good governance. People need freedom of speech to express their concerns about the environment and discuss solutions, he reminded. Alistair Rieu-Clarke began his plenary talk by presenting two international transboundary water conventions: United Nations Watercourses Convention and The United Nations Economic Commission for Europe Water Convention. He argued in favor for these two conventions as they supplement each other but also presented criticism towards overlapping systems. He noted that the more countries sign a convention the more binding it becomes: also countries that have not signed conventions are often following widely signed conventions. According to WWF’s Stuart Orr population growth and infrastructure investments are two things that will affect water security the most in the upcoming years. He also reminded that even though water scarcity is not an issue in Finland, we are not immune to the water crisis either. Making business in a world filled with water related risks is challenging. Orr mentioned multiple physical, reputational and regulatory risks that affect businesses and presented a case from the mining industry. Mining companies use up to 10 percent of their assets into securing water. It means taking a high risk at high cost and is not attractive to investors, he concluded. What can Finland do to global thirst? The parallel sessions held in small interdisciplinary groups provided a possibility to talk about Finland's role in water security management and solutions for water risks. In a wrap-up session at the end of the day the propositions were all gathered together and participants had a possibility to vote for their favourites. The audience put the most weight on strengthening capacities, good governance and young generations. Solutions related to sustainable business models and a case specific approach and international toolset for water diplomacy received a lot of votes as well. 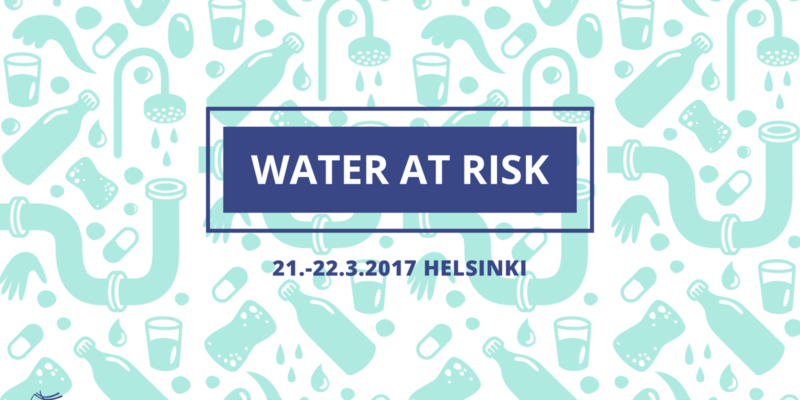 The discussion at Water at Risk symposium will continue 22.3. with a focus on waste water solutions.